When it comes time to invigorate your spirit with a dose of freedom, look no further than Jeep® Wrangler Unlimited. The most liberating way to discover the world and all it has to offer. 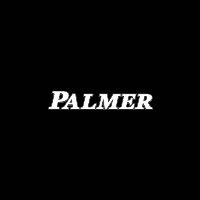 And don’t forget its little brother, the Jeep® Wrangler, named by Four Wheeler magazine as the “4×4 of the Decade.” Let Palmer take your Jeep® to the next level with limitless options to customize your ride and make it your own. BACK-UP CAMERA, 4X4, BLUETOOTH, MP3 Player, KEYLESS ENTRY, SAT RADIO, ALLOY WHEELS. MSRP: $40680 SALE Price: $36680! BACK-UP CAMERA, 4X4, HEATED FRONT SEATS, HEATED STEERING WHEEL, BLUETOOTH, MP3 Player, BLIND SPOT MONITORING, KEYLESS ENTRY, SAT RADIO, COLD WEATHER PACKAGE, ALLOY WHEELS. MSRP: $45455 SALE Price: $38455! The 2018 Jeep Wrangler Unlimited is the spirit of freedom and the promise of adventure. It stays authentic to the traditional Wrangler formula: iconic styling, round headlamps, seven-slot grille, flat fender flares, fold-down windshield and removable top and doors. It also features an easier way to experience open-air freedom thanks to the easily foldable windshield. The fold-down process requires the removal of far fewer bolts than previous models, while redesigned hood bumpers feature cleverly integrated washer nozzles for a seamless appearance. With 17-inch polished wheels and high-clearance fenders, there’s nothing you can’t handle. A new seat design provides comfort and maximum support. Open-air freedom is at the heart of the Wrangler Unlimited, with a new lightweight hardtop with easily removable roof panels or the new zipperless soft top. The wash-out interior features all-new, one-way drain valves in the floor to let the water flow out but not back in. Just remove the carpet and you can wash out the interior with a hose. The Wrangler Unlimited boasts a 3.6L Pentastar V6 engine or all-new 2.0L turbo engine under the hood, plus 33-inch all-terrain tires. Tow hooks and heavy-duty axles help it pack a punch. The Wrangler Unlimited is packed with cutting-edge technology, including a 8.4-inch touchscreen, Apple CarPlay and Android Auto support, SiriusXM Guardian, a premium sound system, push-button start, USB ports and a 115-volt power outlet. It also offers a suite of safety features, including blind spot monitoring and rear cross path detection, hill start assist, trailer sway control, rear back up camera and rear park assist. BACK-UP CAMERA, 4X4, NAVIGATION, BLUETOOTH, MP3 Player, BLIND SPOT MONITORING, KEYLESS ENTRY, SAT RADIO, RUNNING BOARDS, ALLOY WHEELS. MSRP: $45530 SALE Price: $39030! The 2018 Jeep Wrangler Unlimited is the spirit of freedom and the promise of adventure. It stays authentic to the traditional Wrangler formula: iconic styling, round headlamps, seven-slot grille, flat fender flares, fold-down windshield and removable top and doors. It also features an easier way to experience open-air freedom thanks to the easily foldable windshield. The fold-down process requires the removal of far fewer bolts than previous models, while redesigned hood bumpers feature cleverly integrated washer nozzles for a seamless appearance. With 17-inch polished wheels and high-clearance fenders, there’s nothing you can’t handle. A new seat design provides comfort and maximum support. Open-air freedom is at the heart of the Wrangler Unlimited, with a new lightweight hardtop with easily removable roof panels or the new zipperless soft top. The wash-out interior features all-new, one-way drain valves in the floor to let the water flow out but not back in. Just remove the carpet and you can wash out the interior with a hose. The Wrangler Unlimited boasts a 3.6L Pentastar V6 engine or all-new 2.0L turbo engine under the hood, plus 33-inch all-terrain tires. Tow hooks and heavy-duty axles help it pack a punch. The Wrangler Unlimited is packed with cutting-edge technology, including a 8.4-inch touchscreen, Apple CarPlay and Android Auto support, SiriusXM Guardian, a premium sound system, push-button start, USB ports and a 115-volt power outlet. It also offers a suite of safety features, including blind spot monitoring and rear cross path detection, hill start assist, trailer sway control, rear back up camera and rear park assist. BACK-UP CAMERA, 4X4, LEATHER, HEATED FRONT SEATS, HEATED STEERING WHEEL, NAVIGATION, BLUETOOTH, REMOTE START, MP3 Player, BLIND SPOT MONITORING, KEYLESS ENTRY, SAT RADIO, RUNNING BOARDS, COLD WEATHER PACKAGE, ALLOY WHEELS. MSRP: $51090 SALE Price: $43890! The 2018 Jeep Wrangler Unlimited is the spirit of freedom and the promise of adventure. It stays authentic to the traditional Wrangler formula: iconic styling, round headlamps, seven-slot grille, flat fender flares, fold-down windshield and removable top and doors. It also features an easier way to experience open-air freedom thanks to the easily foldable windshield. The fold-down process requires the removal of far fewer bolts than previous models, while redesigned hood bumpers feature cleverly integrated washer nozzles for a seamless appearance. With 17-inch polished wheels and high-clearance fenders, there’s nothing you can’t handle. A new seat design provides comfort and maximum support. Open-air freedom is at the heart of the Wrangler Unlimited, with a new lightweight hardtop with easily removable roof panels or the new zipperless soft top. The wash-out interior features all-new, one-way drain valves in the floor to let the water flow out but not back in. Just remove the carpet and you can wash out the interior with a hose. The Wrangler Unlimited boasts a 3.6L Pentastar V6 engine or all-new 2.0L turbo engine under the hood, plus 33-inch all-terrain tires. Tow hooks and heavy-duty axles help it pack a punch. The Wrangler Unlimited is packed with cutting-edge technology, including a 8.4-inch touchscreen, Apple CarPlay and Android Auto support, SiriusXM Guardian, a premium sound system, push-button start, USB ports and a 115-volt power outlet. It also offers a suite of safety features, including blind spot monitoring and rear cross path detection, hill start assist, trailer sway control, rear back up camera and rear park assist. BEDLINER, SPRAY-IN BED LINER, BACK-UP CAMERA, PANORAMIC SUNROOF, 4X4, LEATHER, HEATED FRONT SEATS, COOLED FRONT SEATS, HEATED STEERING WHEEL, NAVIGATION, LANE DEPARTURE WARNING, BLUETOOTH, SUNROOF, MP3 Player, BLIND SPOT MONITORING, KEYLESS ENTRY, SAT RADIO, WIRELESS CHARGING, 20 WHEELS, RUNNING BOARDS, ALLOY WHEELS. MSRP: $63220 SALE Price: $51220! Choose from a wide variety of winches and bumpers to get yourself into and out of any situation. The super-flex suspension system is designed for enthusiasts looking for the best short arm suspension system that retains the factory mounting locations the super-flex system features great ride quality and phenomenial performance. Fox direct replacement shocks deliver race-winning performance in a simple direct replacement bolt on the shock. Each application has been rigoriously tested by our engineers to miximize suspension travel and performance on and off the road. Customize your Jeep® with 24′ Rims and pair them with offroad tires from BF Goodrich, Goodyear, and more.